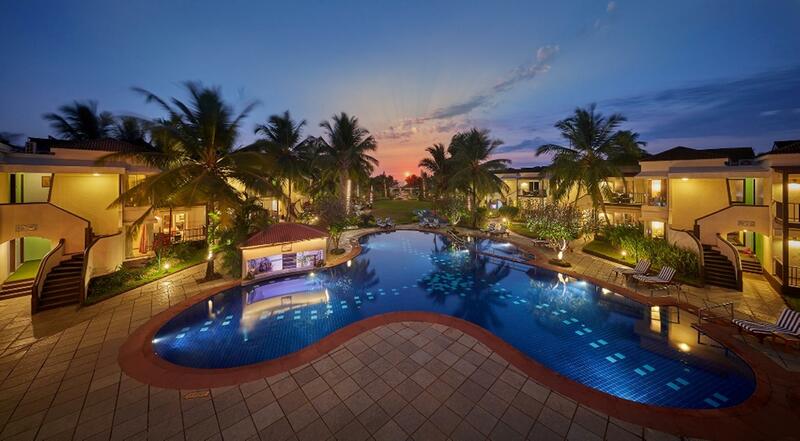 "A very friendly place and an ideal one for families and coup..."
Have a question for Royal Orchid Beach Resort & Spa, Goa? "If u want to enjoy with family and group and ur nature lover must visit best place to stay out from busy life"
"Good property , well maintained and located on the beach ." "Swimming pool was clean and tidy." "Very nice beautiful nature surrounded location." 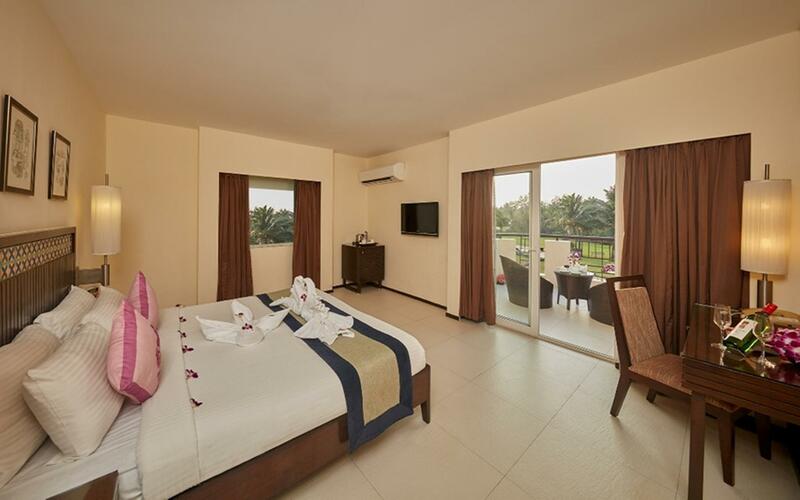 Stay at the Royal Orchid Beach Resort & Spa, Goa and treat your loved ones to an indulgent and unforgettable vacation. Rated 4.5 stars, the resort is perfect for experiencing a truly lavish vacation. It has several convenient features, such as a salon, a currency exchange, an infirmary, shops, and a smoking area. Featuring a fitness center, a golf course, a mini golf course, table tennis, and a garden, it has everything you could want to make your time away as comfortable as possible. The popular landmarks are Varca Beach, Basilica of Bom Jesus, Se Cathedral and Fort Aguada. All of the rooms come with air conditioning, free bottled water, satellite or cable channels, and bathrobes, as well as a hair dryer, a seating area, a coffee or tea maker, a wake-up service, and more. Whether it's a bar or restaurants on-site, the Royal Orchid Beach Resort & Spa, Goa has a selection of dining and snacking choices. There are massage facilities in this area, so if you want to spend the day relaxing and unwinding, you can pamper yourself. 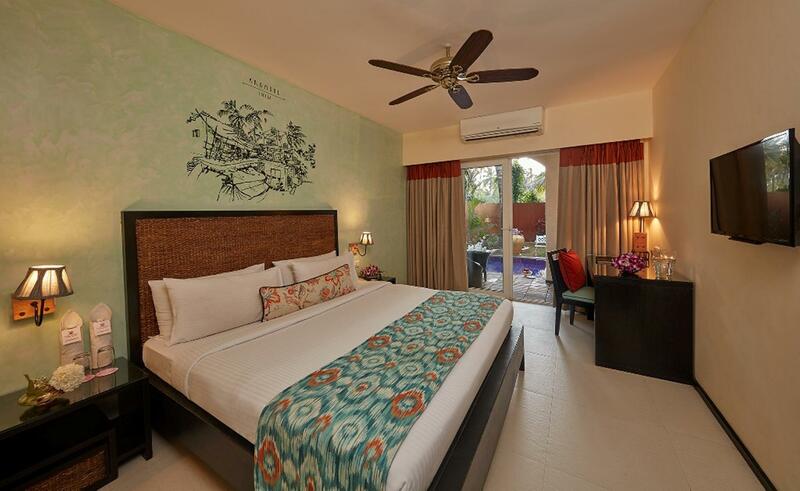 With tours available, the Royal Orchid Beach Resort & Spa, Goa is the perfect place to stay to learn about your surroundings and see everything you can while you're here. The resort provides a number of useful services, which include a concierge, daily housekeeping, and a babysitting service. It gives you access to various transport options, such as airport transfers, car rentals, bicycle rentals, shuttle services, and taxi services. There's Wi-Fi in public areas, so you'll be able to access the web from anywhere on the property. The front desk is open at all hours, ensuring that there is always someone behind the desk to assist you at all hours of the day or night. The Royal Orchid Beach Resort & Spa, Goa accommodates pets, so you won't need to worry about finding a pet sitter while you're away. This resort offers check-in from 02:00 PM and check-out until 11:00 AM. It has a kids club, so you can lay back, and relax and enjoy your getaway while your children are being entertained. It is equipped with a kids swimming pool, keeping your little ones entertained and happy all day long. 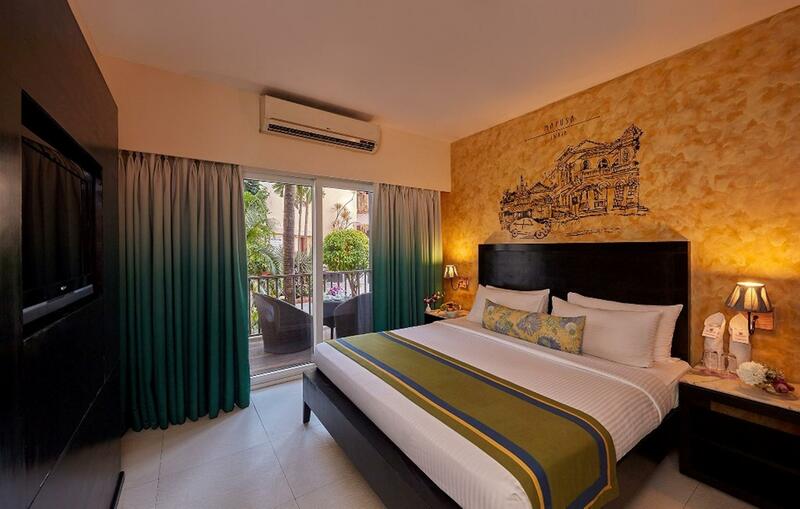 The Royal Orchid Beach Resort & Spa, Goa is also equipped with family rooms and a playground to keep the kids entertained throughout your stay. Majorda Railway Station is 2.3 km away and Cansaulim Railway Station is 2.8 km away. The nearest airports are Goa International Airport (GOI) and Mangalore-Bajpe Airport (IXE), which are 9.8 km and 281.1 km away. The property offers complimentary 10-minute foot/shoulder massage. The property is located right next to a very nice beach, with good access to it. The rooms and facilities were ok and the food was good as well. But for a resort that claims to be 5-star, the competence of their staff could be a lot better. We had a multitude of issues right from check-in to check-out and the attitude of the staff spoilt our mood to say the least. They do try hard, but the attitude is very unprofessional and the lack of training shows up quite a lot. Wish they improve this; if they did this place has the potential to be one of the best in that side of Goa. A very friendly place and an ideal one for families and couples. The staff is very courteous and excellent services. They even catered to my requests even during very late hours. They are very children friendly. The food is excellent but quite expensive. We were for 4 days and there weren't much varieties in the breakfast on successive days. The location is also not very far from the beaches where the water sports are conducted. Good restaurants nearby too. Overall this is a wonderful place for a good holiday. Atrocious experience! While the staff were courteous, the infrastructure is terrible. We check-in to a room that smelt like something had died inside. They cleaned the whole place up and yet, the smell still persisted. Later, we realised this disgusting smell was actually from a plant, which, while exploring the property, actually grows all over the place. Air conditioner also started making weird creaky noises occasionally, which magically stopped when the in-house electrician paid us a visit. The only reason we lingered on was because of the beach and coz we were on our last day there in Goa. Royal Orchid needs to do something really quick about this, or else, come season time..there are gonna be a lot more dissatisfied guests to add to my pool of resentment. Being south goa, u won't get anything outside resort, place is isolated, couple of restaurants are there nearby, beach is easily accessible and beautiful. Being isolated place, u will have to depend on select cabs outside and pay whatever amount they ask. Enough place for kids to play, kids play area is not in working condition though, room views are not great, food is good and they helped us with variety specially for kids, thanks to kitchen staff. Very few options for getting bike on rent.. ideal place if you would like to spend entire time in resort, no nightlife options nearby.. no shacks on the beach.. Overall it was good but not wow.. I have traveled to many 5 star hotels and always get wow feeling. I think they need to upgrade their infrastructure and interior. staff was really good.. food is awesome... and swimming pool is very clean, looks like they don't use chlorine. Lot of green and open area, back side access to beach, restaurant is excellent, staff are helpful. Good stay with family and young children. great location and on the beach....swimming pool was clean and tidy. The resort presents well. The open entrance lounge, orchid flowers, ponds, fountains and pool are a nice greeting. Pity that my actual reception was NOT a nice greeting. "Are you booked in here? ", was the curt question posed by staff, accompanied by a look that we weren't welcome. The room smelt very musty. Much better ventilation or a de-humidifier is needed. Restaurant food and breakfast offered good variety and was tasty. We wanted to have dinner out on the beach so tried Zeebops to the right. They were closed for a private event, so went left to the basic yellow restaurant. DON'T EAT THERE. The security man on the resort back gate didn't warn us when we left that he locks the gate and leaves at 8pm which means a pretty long walk back around to the front. Staff on check out said to take a seat while they wrote up the bill. Had to ask them for it after about 45 minutes. Overall it's a nice place, but some more staff training is required. The best thing about this place is the staff. They are very helpful, friendly and always go the extra mile. The hotel is letdown by tired looking rooms which desperately need to be updated and are past their best. The hotel is over priced especially for a little more you can book the far superior hotel down the road. Yes I have stayed at both! Wonderful stay with family. Very good hospitality, and easy access to the beach. 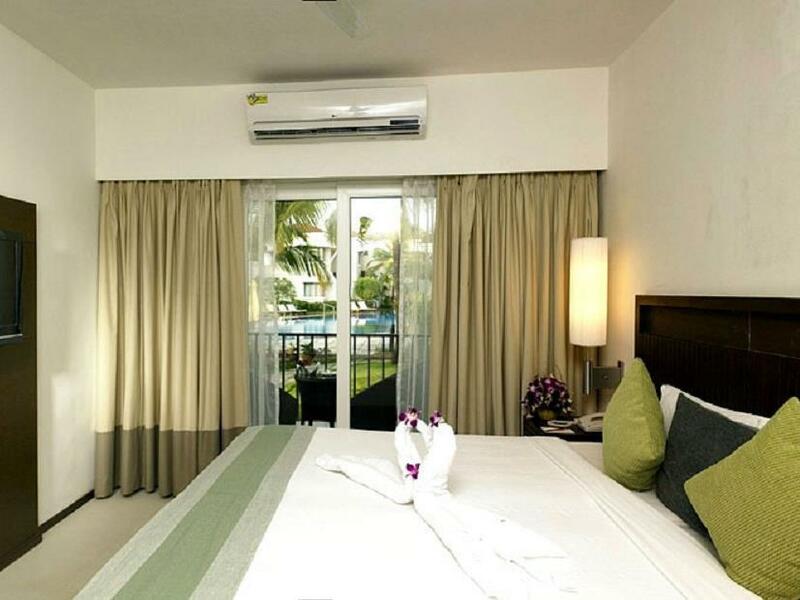 The hotel staff were very curtious and my kids enjoyed the stay there to every bit - clean play area for kids, swimming pool, easy access to the beach and amazing food..
Good property , well maintained and located on the beach . However needs improvement on food and dining..